Adding function and fun into fine art! The Economy Coaster is the economy version of the DuraPlaq® Coaster. The Economy Coaster offers high quality with an economy price by eliminating the need for paper prints and surface finishes used in the traditional Coaster. Economy Coasters have a slightly softer print than a traditional Coaster but maintain a great fine art, reduced cost alternative. An image is direct printed with a state-of-the-art, UV-cured printing process that requires no added protection for use as a coaster. This process does not use solvent-based printing processes. Digital image files or provided prints must be exactly 4” x 4” to ensure a high quality coaster image. Clear box packaging and plastic holders are available for purchase to compliment Coaster products. DuraPlaq®’s exclusive eco-conscious 3/8” premium wood product coated with an acid-free surface for ultimate protection and longevity of artwork. The backside is coated black for added moisture resistance and durability. This product is available only in the set size of approximately 4” x 4” x 3/8”. No Hanger. To optimize water resistance and yield premium quality, Coasters are intended for tabletop display and do not come with a hanging system. Please see StandardPlaq, Economy StandardPlaq, or Plaqcard product if this is the desired presentation. 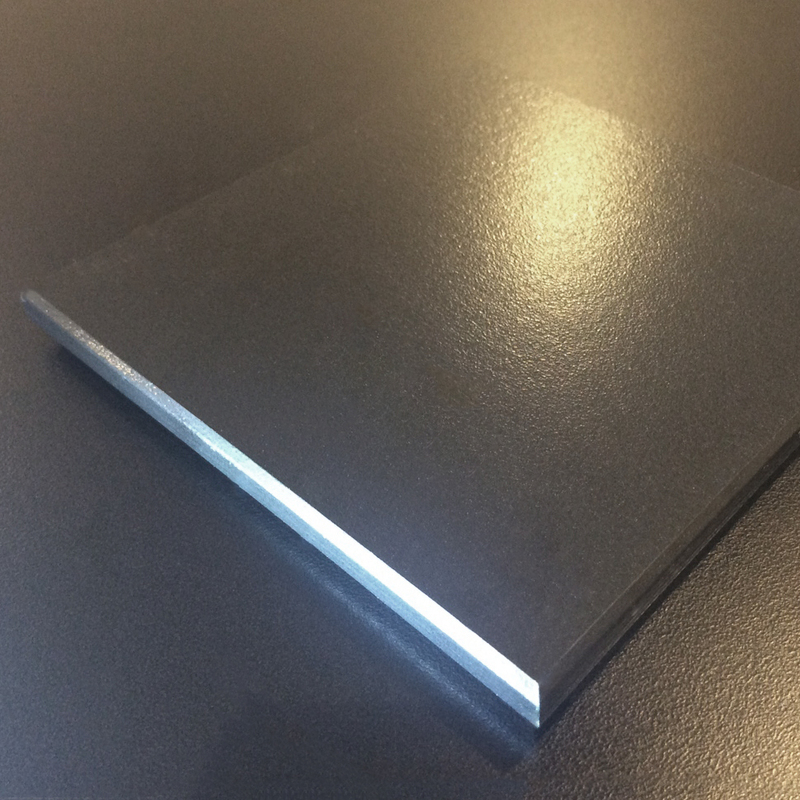 Beveled with a black 3/16” edge, the Economy coaster has a complete and modern presentation. Please note that when providing artwork or image files, signatures and crucial components of an image or print should be a minimum 1/4” from the edge to accommodate trimming during the production process. 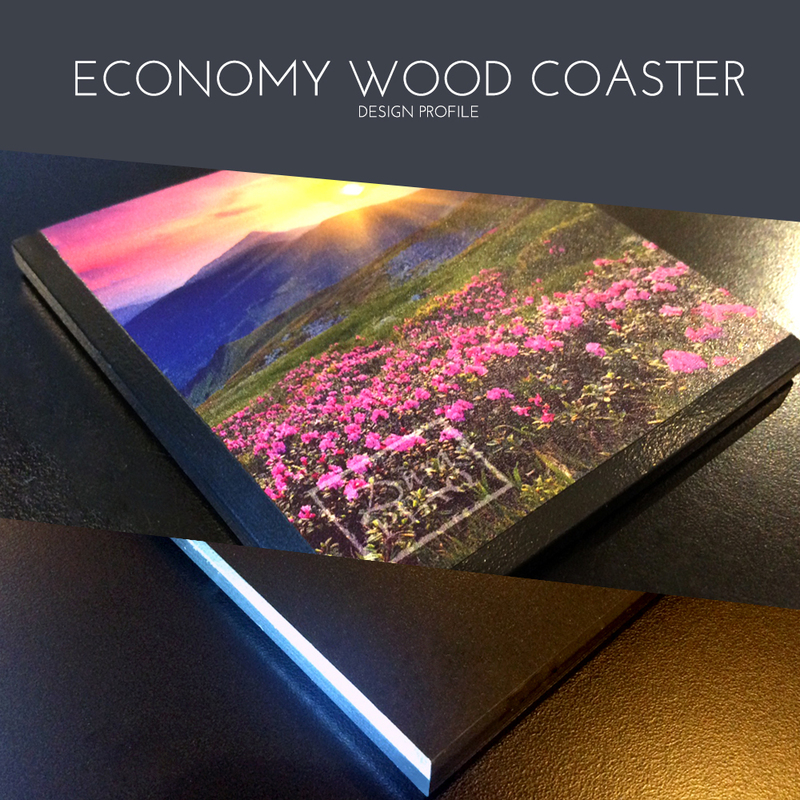 1) The Economy Wood Coaster has a black edge (only) and a directly print, UV-cured ink application. Please submit image files at 4″ x 4″ size. This coaster product does not include a hanging system. Alternate edge colors for coasters are available for Premium Fine Art Coasters only. 2) Due to the nature of printing to substrates with varying base colors, textures and finishes, there may be variations in the surface and appearance of a direct print. DuraPlaq does not offer replacements on surface or color variations with products featuring a direct print applications.